We have analysed the changesets from openstreetmap to compile these numbers. The figures below are from 5th Feb 2015 to 21st June 2015. 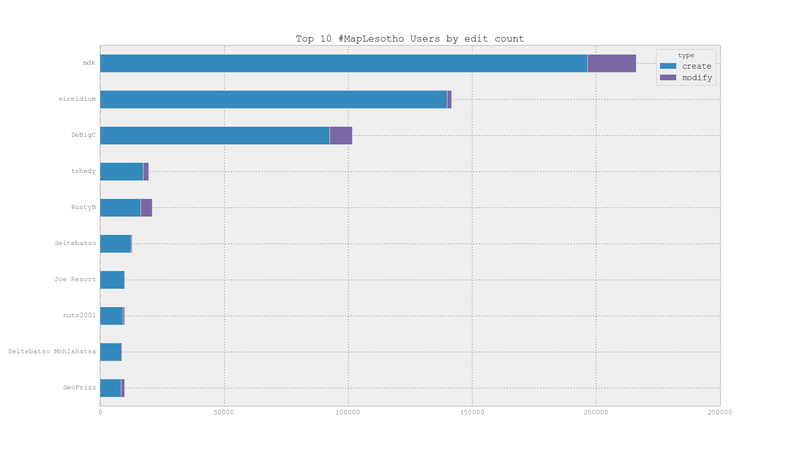 We can reveal that user mdk with over 200,000 edits to the map in support of #MapLesotho.